As you look back on the life of your blog – what have you noticed most about your growth as a person, as a blogger and as a reader? Is there a noticeable change you felt as you moved through the years you’ve blogged or was it much more gradual – to where you almost hadn’t realised the growth you’ve gone through? Andrea respond: When I started blogging, all the books I read were from my bookshelf or the library. That is an excellent place for any blogger to get books from! However, the collections I had access to were fairly limited. There are only so many books a 20-something owns. And even with inter-library-loan, there were only so many books and authors I’d heard of. At the start, I didn’t even know how to learn about new books. I was surrounded by well meaning gatekeepers who had good intentions. Put plainly, I had no idea what I was doing, and I had no idea the absolute wealth of speculative fiction that was out there! The growth has been slow and steady, and truly I’ve not noticed it. When I started blogging, I struggled to write 500 words. These days, kicking out 900 word reviews is a breeze. But I couldn’t pinpoint a date that it became easy. I slowly grew more confident in what I was doing, slowly learned the reviewing style that worked for me. Prior to being a book blogger which stories were you keenly most curious about reading and discovering? Which publishers were on your radar? Andrea responds: My first love has always been the genre of Space Opera. I grew up reading the stuff. I grew up reading any science fiction book I could get my hands on – good stuff, garbage stuff, anything, all of it! I have always been looking for science fiction that pushes boundaries, weird fiction, authors that ignore the “rules” of storytelling. When I was younger, I hardly read any fantasy at all, and blogging got me on the fantasy bandwagon. I knew what I liked, and I was always just looking for more of that, only weirder. As far as publishers, that’s a tough one. As a casual reader, the publisher didn’t so much matter. Once I started really paying attention to who was publishing what authors, I’d watch the spines at the library for certain publishers! When they still existed, I always had my eyes out for Nightshade Books titles. Orbit/Hachette has consistently been putting out some amazing stuff. 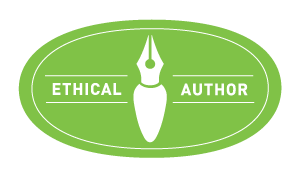 Blogging also introduced me to small presses and specialty presses, publishing houses who put at less than a dozen books a year, or only special editions. Apex Publications (full disclosure, I am an interviewer at Apex Magazine) puts out some fantastic anthologies and science fiction novels, Mythic Delirium publishes some the most gorgeous prose you’ll ever read. Here’s the thing with small press though – you’ll most likely never find these books in a library or at Barnes sand Noble. You’ve got to know what you’re looking for, and order it by name. That’s where the internet comes in handy. There are no gatekeepers online, you can find anything you want, and read it! And, now, as the years have moved forward – do you find your wanderings shifting or evolving? Do you seek out different genres of interest or even, new publishers you might not have considered previously? Andrea responds: Oh for sure! My tastes have expanded and evolved. These days, I can’t seem to get enough of first contact stories and stories told from the point of view of an AI. I’m also far more likely to analyze and over-analyze what I’m reading and how it connects to my every day life. I still prefer tightly focused narratives over sprawling epic stories, I have always done better with first person POV or just a few main characters as opposed to gigantic casts of characters to keep track of. I’m not specifically seeking out new publishers to consider, however I hear about new books primarily through word of mouth. Once upon a time, I maybe would have poo-poo’d a publisher I’d never heard of. These days, if my friend says they think I’d like a book, I don’t pay attention to who the publisher is, I just go and get the book. What do you think enhanced your reading life the most as you blogged? The ability to fuse your thoughts to your reading experience, the potential interactions with the authors themselves through social channels (such as Twitter) or a combination of things which led you to who you are today? Andrea responds: I’m happy you mentioned twitter, I love twitter! What most enhanced my reading life was discovering the huge community of bloggers within the blogosphere and on twitter. Commenting on other people’s blog posts is nice, but you’re not really having a viable conversation, you’re just leaving a comment. But on twitter? You can chit chat with other people who are excited about the same books you’re excited about, and twitter is the best place to realize that authors are just regular people too (even though I still think they are celebrity superheroes!). Another thing that had a huge impact on my reading life was attending Conventions. My favorite conventions are the fan-run cons, a thousand people or less, a hotel full of nerdy fans, and everyone just sits around and talks about books they love, fandom, and everything that makes the book-o-sphere wonderful. I am always so nervous talking to authors at conventions! Always! So! Nervous! And like, no reason for that, because they are just regular people, and I like to think that they are maybe the teeniest bit nervous when they ask if I’ll review their book (and it’s super awkward because sometimes I have to decline). If you get a chance to go to a smaller, fan run convention, you should absolutely go. You’ll get introduced (literally. You’ll have dinner with them!) to authors whose work is new to you, you’ll learn about publishers and subgenres you didn’t go existed. Going to conventions opened the world to me. Thereby, how did you select the reviews you wanted to re-highlight in this bound edition of thoughts and musings of your readerly mind? Andrea responds: I was so excited to dig through my blog and find my best reviews! And then I realized I was going to have to read through 400 plus reviews. This took days, and only the first few hours was fun. The Best of Little Red Reviewer will showcase the reviews that I am most proud of. What does that mean? It means when I reread the review, it gave me shivers. Or it helped me remember why I cried at the end of the book. Or reading it made me immediately want to reread the book. I’m happy to say I selected reviews that cover a good mix of titles. I mean, all the titles are science fiction and fantasy because that is what I read, but there are new books, older books, books that came from large publishers, books that came from tiny publishers. My reviewing style is impressionistic – I talk more about the impression the book made on me and my emotional reaction, rather than focusing on the characters or plot. In real life, I’m not very good at communicating emotions and feelings. The words that come to mind don’t seem to make any sense once they leave my mouth. But when I use that same communication style to talk about a book that had a profound effect on me? The words come much easier and seem to make sense. If you want to know who I am as a person, if you want to know how I react to different things and why, if you want a portrait of me in words, The Best of Little Red Reviewer is for you. What can you reveal about the Kickstarter campaign and surprises that will materalise as the campaign is fulfilled? Andrea responds: This is my first Kickstarter, so I don’t know what to expect! I’ve received advice from a lot of amazing friends who have done Kickstarter campaigns before. I have some fun backer rewards planned, such as customized books. I think the biggest surprise is going to be when the poor delivery guy delivers all the cases of books from the printer to my apartment and realizes there isn’t an elevator. Whatever day in January this funds, the hardest part will be keeping a straight face at work. I’m going to be walking around with a huge dumb grin on my face, and everyone will want to know what’s going on! Do I tell them about my nerdy side life? I can’t wait to read the comments & hear my fellow book blogger’s reactions to this Kickstarter! I am looking forward to being a contributor to the project & for being a future cheerleader for the campaign itself! Let us shine a light on Andrea’s project & stand united as a community of book bloggers who each appreciate the journey we’ve undertaken but also, recognise the value & worth in our words, in our memories & in the beauty of finding inspiration to ‘blog’ due to the characters & worlds writers give us to READ. Andrea Johnson has run the book review blog Little Red Reviewer (littleredreviewer.wordpress.com) since 2010, where she has published over 400 reviews covering all sorts of science fiction, fantasy, and everything in between. Andrea is the creator of #VintageSciFiMonth blogging event, and she has organized read alongs and blog tours. She was a contributor to SFSignal, and is currently the author interviewer at Apex Magazine. Andrea and her husband live in a college town in Michigan, and their home looks like a library that exploded. In January of 2019, Andrea will be running a Kickstarter to print a book of The Best of Little Red Reviewer, which will include her best reviews. For a FULL LIST of all her Guest Features attached to this Kickstarter, kindly VISIT HER BLOG! on the 16th of January for an interview with Andrea!
. 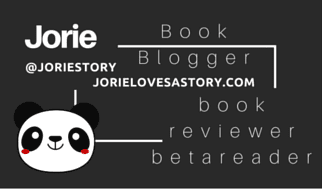 @joriestory | A #BookBlogger's #Kickstarter Campaign Needs YOU! An interview talking about why @redhead5318 #blogs & desires to #SelfPub! Author Guest Post | The author behind “The Lost Season of Love & Snow” explores the hidden meaning behind the title and talks about how it inter-relates to Natayla herself.